Last week Ukraine witnessed a detective story involving Arkady Babchenko: on Tuesday, May 29, the whole Ukrainian society and the international community were shocked by his assassination. 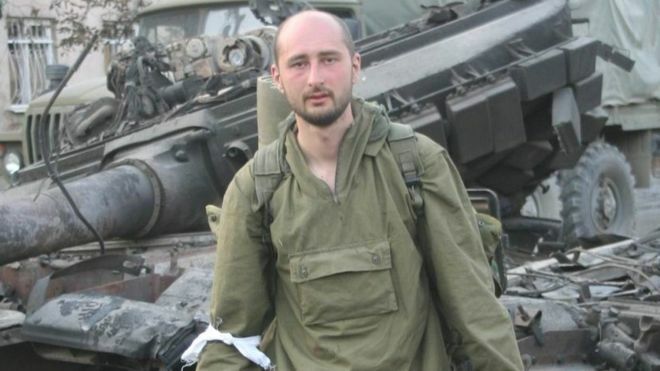 On Wednesday, May 30, it turned out that Babchenko was alive, and that the Security Service of Ukraine (SBU) staged his murder as a part of the special operation aimed at obtaining evidence regarding the organizer of the assassination. The storm of emotion and the confusion caused by this case put Ukraine on the first pages of the international press. Ukrainian society, as well as international observers, have mixed feelings about the case: some perceive these events as a brilliant operation of the Security Service of Ukraine that saved the journalist, while others vigorously criticize the actions of the SBU calling them a bad PR move spreading fake news, which tarnish Ukraine’s international reputation. UCMC takes a look at the key points of the discussion spreading far beyond Ukraine. 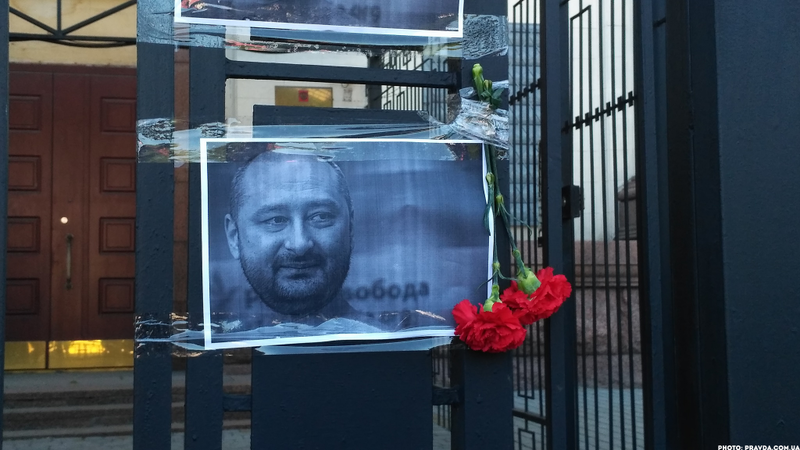 Who is Arkady Babchenko and why the whole Ukraine mourned him? Arkady Babchenko is a Russian military journalist and writer, a participant of the First and Second Chechen Wars, a military correspondent during the 2008 war in Ossetia. He used to cooperate with the “Novaya Gazeta”. Since 2014, he actively covered events in Ukraine. In 2017, after numerous threats, he was forced to fly from Russia. He first went to Prague, then to Israel, and later settled in Kiev. In Ukraine, Babchenko worked as a TV-presenter on the ATR channel (the Crimean-Tatar channel which left Crimea after the annexation), and active Facebook persona within the project “Journalism without Middlemen” (readers could voluntarily donate money for his materials). He calls himself a “feuilletonist ” because it is his Facebook posts within the “Journalism Without Middlemen” project that brought him popularity among Ukrainians. His book of memoirs “The War” has been translated into 16 languages and published in 20 countries. Babchenko received many awards, including the Swedish PEN-club prize. UCMC has published one of his texts in French. The news of the journalist’s murder shocked Ukrainians: information and emotions regarding the matter overwhelmed mass media and social networks within minutes. Journalists started their own investigations, and in a few hours the news reached the UN Security Council meeting – Foreign Minister of Ukraine Pavlo Klimkin did not leave the tragedy unattended. Prime Minister Volodymyr Hroisman also addressed the case, and the President of Germany Frank-Walter Steinmeier, who was on a visit to Kyiv on the day the staged murder took place, was forced to comment on the “murder”. Only President Poroshenko, the Minister of Internal Affairs Arsen Avakov, and the Prosecutor General Yurii Lutsenko refrained from public statements because they were aware of the special operation, as it turned out in the next 24 hours. When the next day it was revealed that the “murder” had been staged, thousands of people felt they were made fools of. While on Tuesday, when Babchenko “was killed”, some commentators accused the Security Service of Ukraine of not reacting to the matter, on Wednesday the accusation was targeted at their modus operandi. The journalist community was indignant feeling it had been abused both professionally (they were preparing the materials on the murder for nearly 24 hours, initiated their own investigations) and personally (a great number of Ukrainian journalists personally knew and liked Arkady, so the news of his death hit them hard). The international community was also partly skeptic of the SBU’s work methods. Natural questions regarding the expediency of the SBU’s show are still in the air. Was it possible to achieve the goal in a less eccentric manner? Does the purpose justify the means in this particular case? What is known at the moment and are the special services managing to dispel the public’s doubts? At the very first press briefing, the Security Service of Ukraine said that Babchenko’s killing was ordered by Russia’s special services: they hired a Ukrainian and paid him $40 thousand for organizing the killing. The person referred to by the Security Service as “organizer of the assassination”, hired the hitman – his acquaintance, a veteran of the war in eastern Ukraine. The killer was paid $30 thousand, the other ten thousand the organizer left to himself for his “mediation”. However, the intended hitman collaborated with the Security Service of Ukraine. On May 31, the names of both the “killer” and the organizer were revealed. This news provokes additional questions. “The organizer”. According to Ukrainian law enforcement officials, the organizer (Ukrainian hired by Russian special services) is 51-year old Borys Herman. Mr. Herman was detained by the SBU the day after Babchenko’s staged killing. The video of the arrest was demonstrated at a press briefing of the Head of the Security Service of Ukraine Vasyl Hrytsak on May 30. According to Mr. Herman’s lawyer Yevhen Solodko, known as an attorney of Oleksandr Yefremov, former MP, member of the “Party of Regions”, his client is executive director of the Ukrainian-German joint company “Schmeisser”, a private company producing weapons. Borys Herman is known for his volunteer activities supporting Ukrainian army. In court, Herman said that he is the SBU’s agent and cooperates with Ukrainian counter-intelligence. However, the Prosecutor General refutes this statement. Borys Herman also claims he knew that the intended “hitman” he hired, Oleksiy Tsymbaliuk, cooperated with the SBU. At present, Mr. Herman is remanded in custody for two months without bail. “The hitman”. 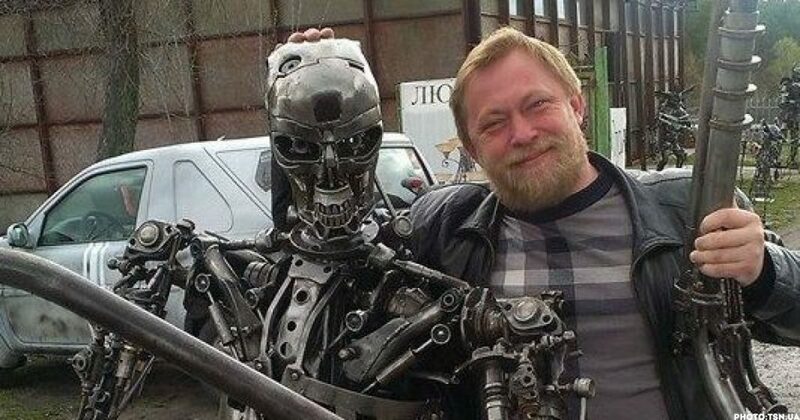 According to the Security Service of Ukraine, Mr. Herman hired the hitman – his acquaintance, a veteran of the war in eastern Ukraine, but this person collaborated with the SBU. According to the prosecutor in Babchenko’s case, the intended assassin was Oleksiy Tsymbaliuk, volunteer, and veteran of the war in eastern Ukraine, and Herman had paid him $14 thousand in advance. The “hitman” confirms this information. “I don’t see any point in hiding my identity since the video where I’m paid money for the future assassination was made public and my voice had not been changed. The investigation goes on, and I have signed a pledge of secrecy,” wrote Tsymbaliuk. He says he went to the SBU immediately after having received the proposal of contract killing and says he had collaborated with the investigation. At present, he is a witness in the case. What is known about Tsymbaliuk? Oleksiy Tsymbaliuk was a hieromonk of the Ukrainian Orthodox Church of Moscow Patriarchate. Long ago he lived in western Ukraine in the Carpathians. When the war began, he joined Pravy Sector’s medical volunteer battalion “Hospitaliery”, operating in Donbas. There he got acquainted with a number of people from the Security Service of Ukraine. They worked together in SBU’s mobile groups for countering contraband in the conflict zone. Why did Borys Herman decide to offer him the role of a contract killer? Tsymbaliuk’s profile in the social networks shows him as a patriot with nationalist opinions. He is rather famous among volunteers, once Hromadske TV even made a news piece about him. It is not clear why Herman chose him as a killer. According to Borys Herman, both he and Tsymbaliuk were cooperating with the SBU, but with different sections. “The counter-intelligence decided to choose Tsymbaliuk because they knew him very well from the time in ATO zone. We knew about the operation with staged killing, and we knew that Tsymbaliuk will run there [to the SBU – editor’s note],” Herman says. He also claims he found out a number of ways how money was delivered (from Russia? ), and “what political forces and particular actors were using them”. Is this true? Is it possible that the staged Babchenko’s killing was organized by two separate sections of the SBU? Who in fact is Borys Herman? At present, there is no answer. Was the staged murder the necessary measure? According to the SBU, the staged killing of Arkadiy Babchenko helped Ukrainian law enforcement to collect evidence that the organizer did order the assassination, in particular, that he had passed money to the hitman. This evidence will be very important in the court. They emphasize that the practice of staging murders is not something new and it is normal to stage a committed crime in order to see that the person who ordered it went until the end and paid when the “work” was done. The SBU has demonstrated a video showing how money was paid to the “killer”. Moreover, the SBU says that the staged assassination helped them to get information about future crimes. They noted that during the conversations between the organizer and the intended “killer” the first was telling about a list of over 30 future targets to put out of the way, in addition to Babchenko, and that Ukrainian law enforcement decided to stage the killing in order to obtain the list itself. The list turned out to comprise 47 names, mostly Ukrainian and formerly Russian journalists. Ukraine’s Prosecutor General Yuriy Lutsenko also noted that the operation helped to get sufficient evidence proving that “the organizer has links to Russia”. But who is behind this planned hit? And will the law enforcement succeed in finding organizers from Russia and proving their complicity? At a press conference on Wednesday, May 30, Babchenko said he has reasons to believe that he was “ordered” from Russia. e noted that the SBU offered him to participate in the operation. “The fact that my life was saved is not really important. It is more important that a serious large-scale terrorist attack was prevented,” he added later in a comment. Babchenko also apologized to his loved ones and colleagues for making them go through all this. “There was no other way”, he said. In his first interview to the press on Thursday, May 31, Babchenko disclosed more details about the operation: how he put on a t-shirt with holes from real bullets, how he was poured over with blood, how his wife then called the police and the ambulance, how he simulated a dead body before he was finally delivered to a secret place in the mortuary where he took off the blood-soaked clothes and could sit in a staff room reading in social networks “what a good guy I was”. 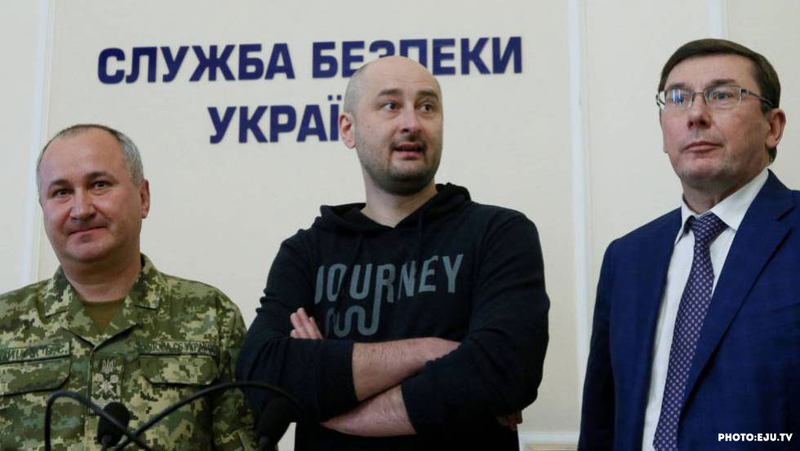 In contrary to many his colleagues-journalists, Babchenko himself had doubts at first but finally believed the SBU’s version, and voluntarily agreed to participate in the operation. “If the SBU professionals say this helped them to get better evidence – ok, they are right, it is no business of mine,” he explained. “If someone would come and show you the photo of your killer and the person who ordered you, and if you would have to choose between professional ethics and a chance to survive – feel free to judge my choice. I choose the chance to survive”. At the same time, Babchenko noted that he has no hard evidence that the operation was not the SBU’s manipulation. “No one brought me Mr. Putin’s letter with a stamp where he orders to kill Arkady Babchenko,” he says. His decision to participate in the operation came step by step, as he started believing the Security Service. It is obvious that the price of the new fact, in this case, is very high. And these facts must confirm the official version of the SBU and the Prosecutor’s Office, proving very clear that there was no other way. The “organizer” is taken into custody, and his arrest may be the first important step in the further investigation. However, it is yet necessary to prove that Mr. Herman was really hired by Russian agents and to show concrete and convincing evidence proving that he had links with them. Now Mr. Herman’s claims about his own cooperation with the SBU open space for suspicions about an opposite scenario. 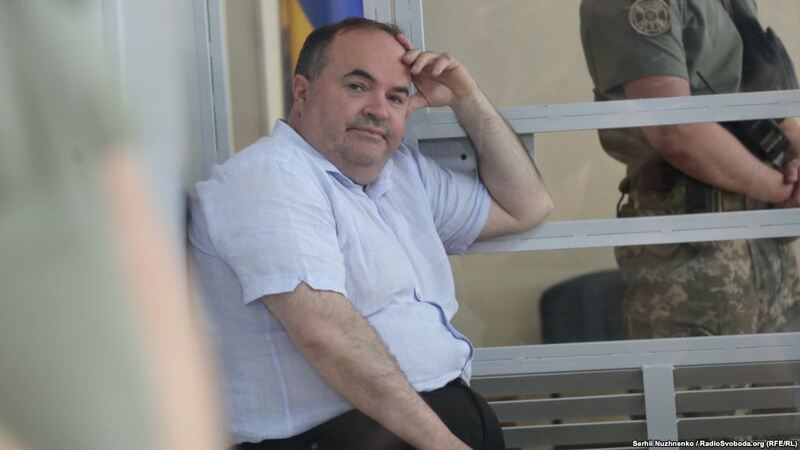 In addition, it is necessary to prove to the public that the operation was worth the emotions that the people who cared about Arkadiy Babchenko had to go through. It is hardly possible that any attempts to use the case in political games before the elections will succeed. Finally, a month and a half later there will be the second anniversary of Pavel Sheremet’s murder. And if there is no news about the investigation, the authorities will have a difficult time explaining this contrast between a brilliant professionalism in Babchenko’s case, and an almost blocked investigation and no answers in Sheremet’s.